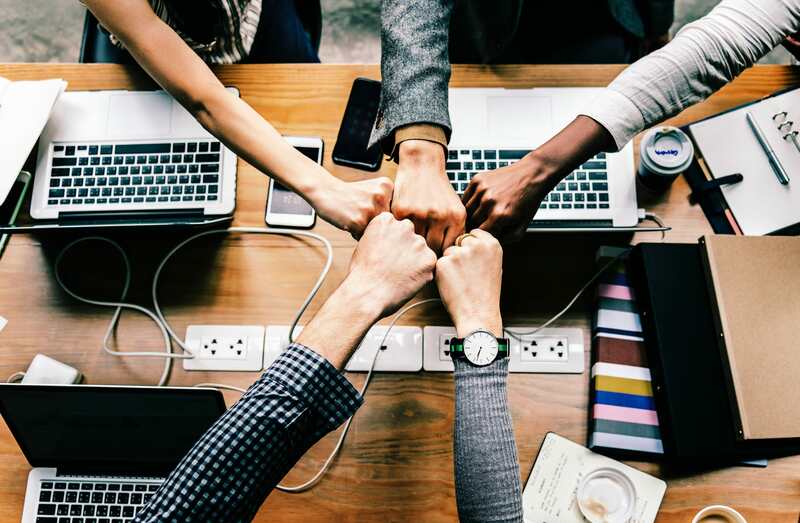 In the digital age, it is extremely helpful to have Software-as-a-Service (SaaS) tools in place to maximize team productivity. SaaS tools are great because they take essential work tasks, and slim them down into user-friendly web and mobile applications. Below I have recommended five SaaS tools available online. I selected these as they are applicable to any many businesses today. At least one of these is bound to boost team productivity in and out of the office. Let us begin, shall we? This tool will put your team’s dysfunctional gantt chart to rest. Asana was created by Facebook co-founder Dustin Moskovitz in effort to track and coordinate work more efficiently. 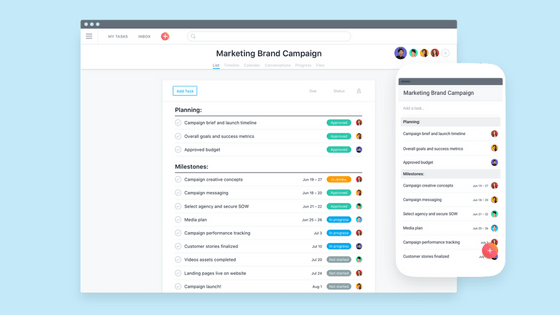 In Asana, users easily create tasks, assign them to others, and track progress in different views. Tasks can be further customized with a due dates, tags, relevant documents, and even subtasks. Teams can be created in Asana to channel tasks to correct work areas. Within teams, users can create projects and utilize Kanban style project boards to maintain an agile workflow. To stay up to date on those priority tasks, customize your dashboard to get an overview of task progress across teams and projects. Users will be notified of all relevant activity via an inbox feature as well. Manage team projects and track team productivity on Asana. I could talk all day about how great Asana is. Here at Derdack, it is an absolute fan-favorite. It is incredibly easy to use, and highly customizable, so I highly suggest you give it a try. I think this is the best task management tool currently on the market. I suggest reading this article on Hubstaff for a bunch of tips and accompanying GIF animations. Favorite Feature: Not all tasks have to be made public. You can organize your day-to-day duties privately if you want. After adding dates and times to your own tasks, stay on top of the ball by sorting them by target completion date or project. Social media is a must for most modern firms. Businesses are now working to interrupt customer feeds of cat pictures and memes with their own content. With that said, organizations big or small can benefit from a little social media planning. That’s where Buffer comes into play. Buffer takes a minimalist approach to digital marketing by exclusively focusing on social media post scheduling. Consider this tool a very stripped down version of Hoodsuite or Hubspot where you can manage many social media accounts via a website or mobile app. You do not have to go to each social page to post new content; you can do it right in Buffer… Now that’s what I call productivity. 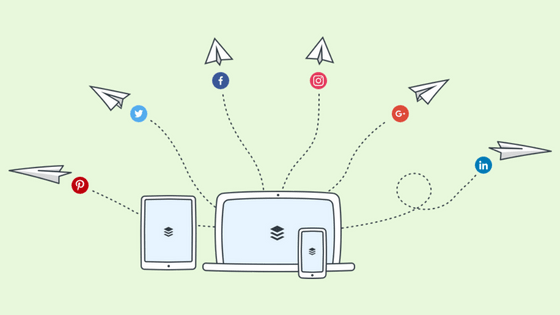 Post to all your social accounts at once with Buffer. Buffer is a freemium web tool like the rest of these. You must pay for features like post analytics, calendar views, and management of more than three accounts. Buffer *free* manages to get the job done, so I highly suggest this tool to teams that do not have a large marketing budget. Buffer can keep time spent on digital marketing to a minimum, so you can focus on other priorities. Favorite Feature: They even have a Google Chrome extension that allows you post and schedule content you find online almost immediately. If you find a picture or link pertaining to your company, you can share it to your accounts by clicking a button on your browser’s tool bar. Check it out for yourself. Skype for Business is nice, but Slack is the elite option when it comes to communication among team members. It offers more than your average work chat platform. As one would expect, Slack is capable of direct and team messaging. However, you can create additional channels for other teams and projects for specific subject matter too. That’s not all… You can also upload documents from your device or cloud storage service directly into the chat. From Slack you can even voice or video call others about your work. Pay for Slack, and you will unlock the abilities to share your screen in video calls and participate in group calls with business associates. 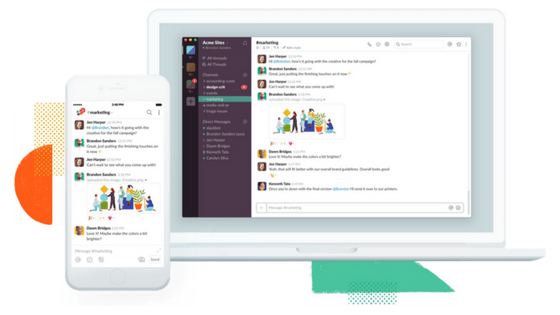 Slack is where communication meets business. Slack’s desktop and mobile layouts are very easy on the eye and do not feel like other cold business tools. It’s non-conventional color scheme, simple design, and superb notification capabilities are refreshing. Slack was developed to cater to productive teams. Favorite Feature: Slack has an official app directory and enables users create internal integrations (APIs) to boost productivity. For example, you can download the Asana app to merge your task management with Slack’s communication capabilities. You are even able to create a bot from a webhook that could notify you of certain events outside of Slack. The more your business tools communicate, the less programs you’ll need open, and more productive your team will be. In a nutshell, Zapier is a tool that connects applications to create automated workflows, so you ultimately work less, and get more done. Each app connection, a Zap, has a trigger and at least one resulting action. Depending on how you create your custom flow you can even get two actions out of one trigger. 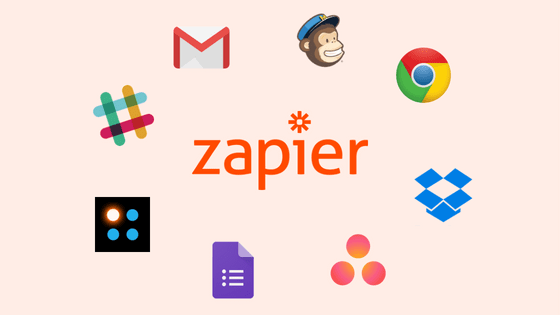 Zapier currently integrates with over 1000 apps, making it possible to create very unique workflows. A lot of these integrations feature efficient solutions for data entry, file upload, and event messaging… all things that can individually threaten team productivity at work. Thanks to Zapier, you may not have to do those things anymore. Connect app processes with Zapier to boost productivity. *If you are a fan of Microsoft Office 365, I recommend you to try Microsoft Flow. It is a lot like Zapier, but more focused on functionality with Microsoft applications. Favorite Feature: If you have a particular app in mind that you want to work with, search through Zapier’s templates. You may find something useful that you can make your own. In many industries there are moments where critical notifications must be sent and received by the right people at the right time, so incidents are addressed immediately. 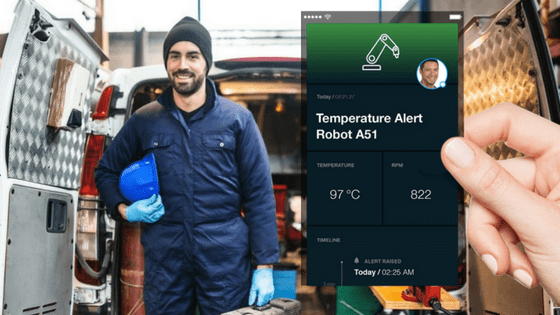 Intended for those not in the office, but rather in the field, SIGNL4 is the perfect mobile SaaS solution for operations teams. After assembling a SIGNL4 team, organizations can integrate with from third-party applications and enterprise systems. This includes applications mentioned earlier like Slack, Zapier, and Microsoft Flow. Once integrations are established, the correct “on-duty” personnel will receive mobile alerts in real-time regarding incidents that need attention. Parameters like priority level, biometrics, location, and more may also be available when the alert is received. Enriched notifications with actionable information will most certainly reduce on-site troubleshooting, and increase overall team productivity. SIGNL4 is the mission-critical communication channel your mobile team needs to get the job done as soon as possible. As the issue is being resolved, team members can engage in ChatOps within the alert to establish an uninterrupted channel of mission critical communication. Team members going “off-duty” can go as far to leave remarks in open alerts to assure clean shift hand-offs. Oncoming workers are then able to open alerts that occurred in the previous shift and continue work that was started to arrive at a final resolution. Delayed and dismissed notifications are not acceptable for incident response teams. Having a persistent real-time alert application with additional communication capabilities is what separates a response team from a critical response team. Favorite Feature: Team members can take ownership of alerts that are received by tapping on an icon that can be seen by everyone. With transparent task acknowledgement and ownership, your team can move forward. Claiming responsibility is a big step towards establishing a sense of accountability in your team members. That concludes our short list of SaaS team productivity tools. Hopefully, at least one of these can help optimize your team’s operations at work. If you already are using one of these tools, I hope you learned something new. Keep in mind that the teams behind these SaaS tools are constantly developing new features. If you chose one of these digital products, be sure to visit their websites occasionally. Best of luck out there! Assemble your SIGNL4 team today!